Our mission is to provide an oasis of Martial Arts tradition, build character and community health through the experience of Brazilian Jiu Jitsu, Muay Thai Kickboxing & Mixed Martial Arts in Long Island and Nassau county. Our teachers and staff bring you the highest quality of Martial Arts (MMA) instruction in a safe, friendly, respectful and clean environment. 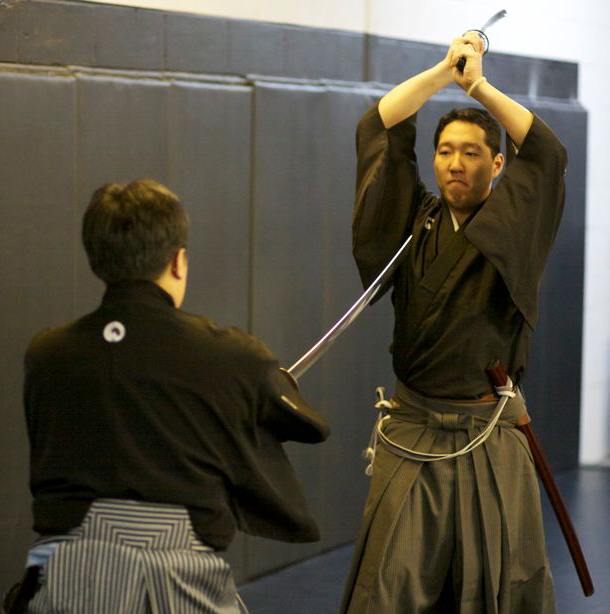 Whether you're looking for discipline, fitness, self-defense or competition, we will meet your needs. Everyone will get a great workout as Brazilian Jiu Jitsu (BJJ) uses the entire body. All will benefit from training in Brazilian Jiu Jitsu, Thai Boxing, Judo and MMA. This is your opportunity to come and learn Brazilian Jiu Jitsu under Sensei Nardu Debrah who is a Black Belt under the Legendary Renzo Gracie. This is also your opportunity to train the ”Gentle Art” of Judo under one of the best Judo players in the United States, Professor Harry St Leger. 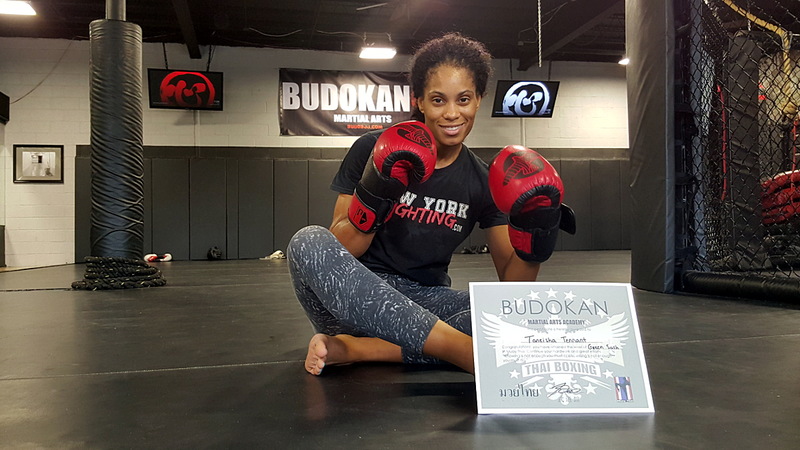 The Budokan presents a holistic approach to fitness and the building of moral character, grounded ethics, sportsmanship, fair play and nutrition. These intangibles along with the ability to defend oneself are immeasurable and beneficial to everybody. 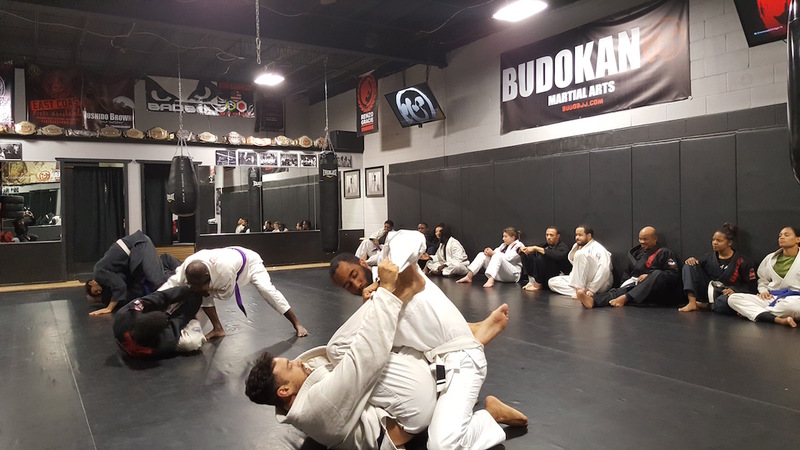 We offer some of the best BJJ in Nassau County, some other programs we offer include, Judo, Iaido, Zen meditation, Yoga Chinese Kung Fu, Muay Thai, and MMA. These are all adult martial Arts programs and children's martial arts programs. Brazilian Jiu Jitsu is a Martial Art which utilizes techniques on the ground to control, neutralize or submit an adversary. It is truly an innovative art as it is constantly evolving. Its principles are based on leverage and simplicity not just strength. Our curriculum covers all aspects of Brazilian Jiu Jitsu from throws, clinch work and take downs, to ground work, drills and submissions. Our method of instruction and training is for all levels, from beginners to advanced. All classes are taught by qualified instructors. We offer a great mix of BJJ and Submission Grappling, classes are taught with Gi and No-Gi providing a balance for all that want to do both Training in BJJ and Grappling are a great way to have fun and get in unbelievable shape! Your strength, cardio and flexibility will greatly improve while your learning a very valuable skill of how to protect yourself! Muay Thai or also known as Thai boxing is a full contact martial art, which is termed "The Science of Eight Limbs". This is because the hands, shins, elbows and knees are all used extensively in this art. So a master practitioner of Muay Thai thus has the ability to execute strikes using eight points of contact as opposed to four points in other martial arts or two points in western boxing. This effectively gives the practitioner to debilitate opponents with any combination of the science of eight limbs. Muay Thai is a straightforward but brutal art practiced in many countries all over the world and is the national sport of Thailand. It uses gloves similar to the ones used in western traditional boxing and is fought in a ring. When I had first started Muay Thai it seemed similar and looked similar at first to traditional western boxing but after my first lesson my view on the art was completely changed forever. I don't think it could be more different from traditional boxing as the style and feel of it is nowhere near the same. Muay Thai is such an interesting art to learn because there is so much to learn. So this is where Muay Thai is a completely unique and devastating martial art. Give your teens the opportunity to express themselves amongst their peers (ages 13-17) through physical activity in a safe and positive environment. The program curriculum includes weekly classes in Brazilian Jiu Jitsu, Judo, MMA, Kickboxing, and Muay Thai. 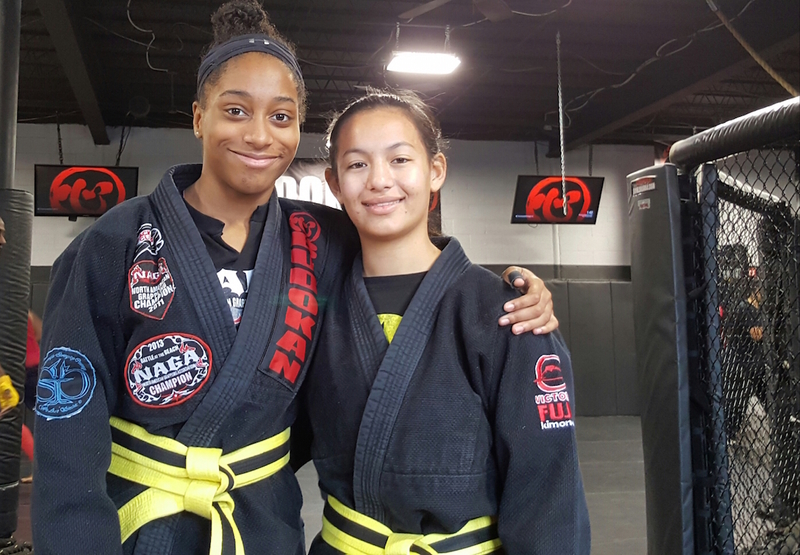 Students will develop a positive and disciplined attitude by building a strong foundation in the basic skills of martial arts: blocks, punches, kicks, stances, as well as basic Brazilian Jiu Jitsu, and sparring. Build your confidence as you begin to see the physical fitness rewards of training in the martial arts. Take advantage of this opportunity to interact with successful professionals and learn good habits for success in school and your everyday life. Our Children's Martial Art program gives your child the opportunity to: build self-esteem, develop confidence and improve discipline while at the same time having fun. Our Children's Martial Art program gives your child the opportunity to: build self-esteem, develop confidence and improve discipline while at the same time having fun. Through our program your children's concentration, coordination and fitness level will also increase. What we offer is a martial arts program specifically designed for children ages 3 to 13. This program focuses on improving children's listening and motor skills. These skills will help them enter society with more confidence. Each class we cover different aspects of Brazilian Jiu Jitsu, Judo or Muay Thai infused with positive values of traditional Martial Arts and a wide variety of activities that are fun and at the same time educational. All skills are taught in a safe and supervised environment. The effectiveness of our Children's Martial Arts Program is reflected in the feedback we get from our students and parents. Come in today and find out why there is much more to a Martial Arts school than just kicks and punches. We achieve results that are measured by the success of our students. Give your child an advantage in life by enrolling them today! Skill #1: FOCUS - This skill will help your child's aim, listening skills and reaction skills. They will excel faster in any physical activities. Your child will also become a better listener and a more focused student in school. Skill #2: TEAMWORK- Teamwork is necessary for any young child to develop. The more confident your child is willing to work with others, the more he or she will accomplish. Your child will develop character, which will help him or her make new friends and become a better leader in life. Skill #3: CONTROL - Having control means making good decisions. Whether your child's handling a pet or handling a problem, he or she will learn to make the right decision. Control builds confidence. Skill #4: BALANCE - This skill is crucial to develop at an early age. Your child is beginning to participate in many physical activities that are challenging, like riding a two-wheel bicycle. Your child will develop good balance and better posture. Skill #5: MEMORY - Developing a good memory is exercise for your child's brain. The sooner your child exercises, the smarter he or she will become. Our drills are constantly helping your child think and make smart decisions. Skill #6: DISCIPLINE - Our instructors use the Little Samurai drills to help create the vision that discipline is fun and rewarding. Your child will take pride in doing the right thing. Your child will also follow directions better. Skill #7: FITNESS - It is important for children to understand the importance of being healthy and physically fit. If your child does not burn off excess energy exercising, how will he or she burn off all of that energy. Skill #8: COORDINATION - Your child will learn left from right. They will become better physical participants in sports and activities. The better coordination your child has, the fewer injuries your child will sustain. In our Little Samurais classes, we make learning fun and educational. Our goal is to help your preschooler be the best they can be at everything they put their mind to. Budokan Jiujitsu teaches you the techniques to defend yourself, but also the way to think about defending yourself – anticipate and avoid potential dangers. Training also helps build up the reflexes you need if you’re ever in a dangerous situation, and give you the confidence to stand up for yourself and fight back if needed. 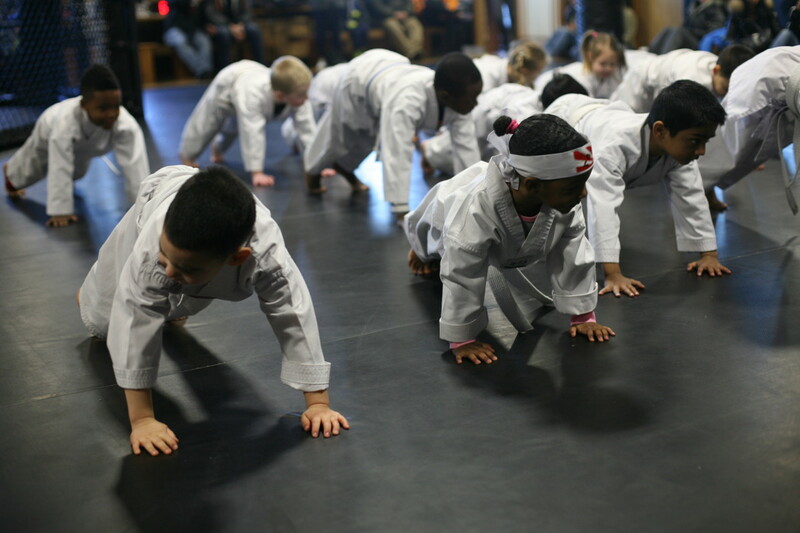 As children become more proficient in Brazilian Jiu-jitsu , their confidence gets a big-boost. They become more self-assured and confident. Their Professor’s encouragement goes a long way to help them achieve this goal, but the confidence level will extend far beyond the Dojo. Belts and rankings are a public recognition among peers for the student’s effort and progress. Martial Arts ranking system helps teach children to set goals and achieve them, to persevere and prioritize. To make commitments, and keep them. Saturday's is our all level, all ages Family day! That's right, you can enjoy training along with your child and bring the lessons from the Budokan home to work on, review and train together. Muay Thai, a martial art form having its roots in Thailand has become extremely popular in many parts of the world these days. It is a one to one contact sport that requires a lot of agility and fast, nimble movements. Muay Thai helps increase the speed, agility, strength and cardiovascular endurance of the practitioner. The exercises associated with Muay Thai greatly help in building up the stamina of a person and his overall health and fitness levels will also increase. Muay Thai, as it teaches you methods of self defence, toughens you from the inside. It helps in boosting the immune system of the body, providing strength and endurance to muscles. All this works on the mental psyche of a person as he gains self confidence, and learns how to be disciplined. At a spiritual level, it surprisingly provides mental peace and relief from stress. Muay Thai also makes a person more self assured and self aware. This diverse background has enabled Master Mitchell to develop Universal Defense System. UDS incorporates both eastern and western martial arts along with a focus on health and safety to develop the most effective and efficient martial artist. The UDS system begins with an evaluation to determine a fighter’s strengths and weaknesses. Based on this evaluation an individualized training program is developed to guide the student in the goals of self-preservation and self-perfection. Master Mitchell is an experienced judge and referee. His system of martial arts incorporates the concept of cross training and provides a "trainer" for tournament competitions. This is in keeping with systems used in other disciplines and sports to maximize performance and minimize injury. In his classes he focuses on street survival techniques, utilizing both eastern and western styles. 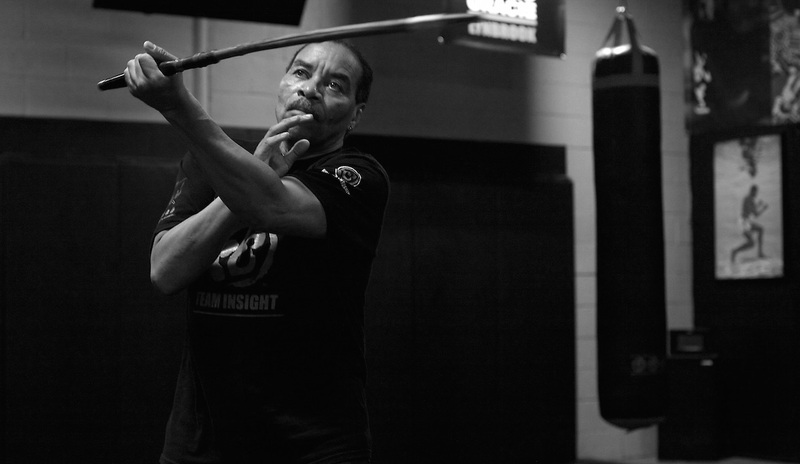 His students are consistent winners in Kung-Fu, stick and knife, and mixed martial arts competitions. 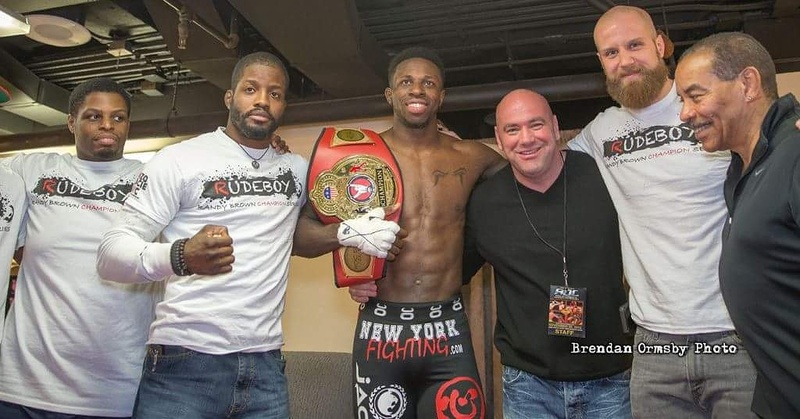 He has trained amateurs and professional fighters including UFC level competitors. Master Mitchell is a rare combination of teacher, healer, trainer, and coach who helps to build students into champions. Discipline, and respect are the foundations of Universal Defense System. Renzo Gracie Brazilian Jiu-Jitsu Black Belt and Mixed Martial Arts Veteran. Two time first place winner in Advanced Chi Sau (sticking hands) Division. Three time first place winner of Advanced fighting division in the Wong Fei Hong Tournament. First place winner 1997 Eastern Regional Championships Full Contact stickfighting. First place winner 2000 "Masters of the Blade" Knife fighting tournament. Silver Medal at U.S. Chinese Kuoshu Federation for Steel Whip demonstration. 1999 Received rank of Full Instructor under Sifu Ralph Mitchell. 2002 Fought in "New York Showdown 5" San Shou match. 2001 First place winner at "The Grapplers Quest". 2002 First place=2 0winner at U.S. Grappling Association. 2005 Fought in "Absolute Fighting Championship" Ft lauderdale Florida. 2005 Taught Edged weapons seminar & workshop for the New York Police Departments Tactical Training Unit. 2006 Fought in Trump Taj Mahal Atlantic City "Mixed Fighting Championships 6"
2006 Became Vice President of Battlescar Management's / Close Quarter Combat, Tactical Training & Civilian education. 2006 Conducted Seminars & Workshops for the Masters Club & Serra's BJJ Academy on Edged Weapons. Matt Culley is a Black Belt under Sensei Nardu Debrah and with Sensei's guidance also trains under Professor John Danaher at the Renzo Gracie Academy. Since joining Budokan he has developed a love for many different martial arts. Along with Brazilian Jiu-Jitsu he currently trains "the gentle art" of Judo under Professor Harry St Leger as well as Muay Thai and Iaido. He has won medals in both BJJ and Judo including Gold at both the 2010 Starrett Cup and 2010 Long Island Pride. 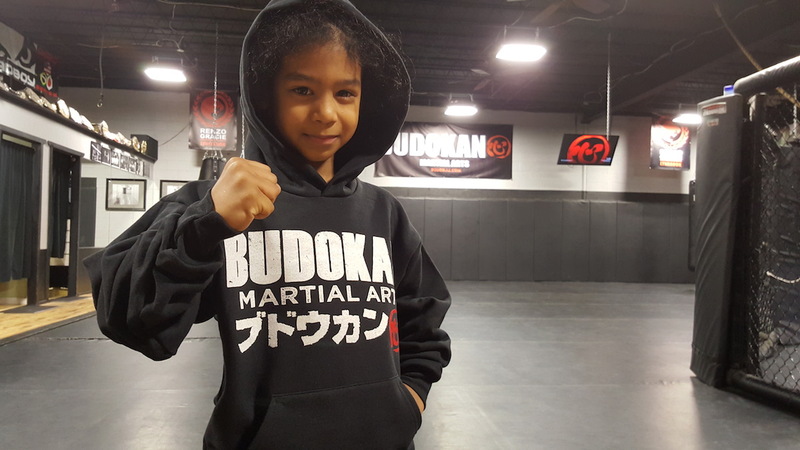 Besides continuing to learn, compete, and excel at these various arts one of his many goals is to pass on the life changing gifts that training Martial Arts has given to him. Kyle Antonelli is a black belt in Brazilian Jiu Jitsu under Sensei Nardu Debrah. He began his BJJ training in 2005, and through training at the Budokan Martial Arts Academy has had the opportunity to train with and study under high level black belts and top practitioners of the art. He has also trained previously in collegiate-style Wrestling as well as Aikido, and now trains Judo and Muay Thai at the Budokan in addition to BJJ. Kyle currently shares his love for the art of Jiu Jitsu in teaching the Beginner BJJ class here at Budokan. 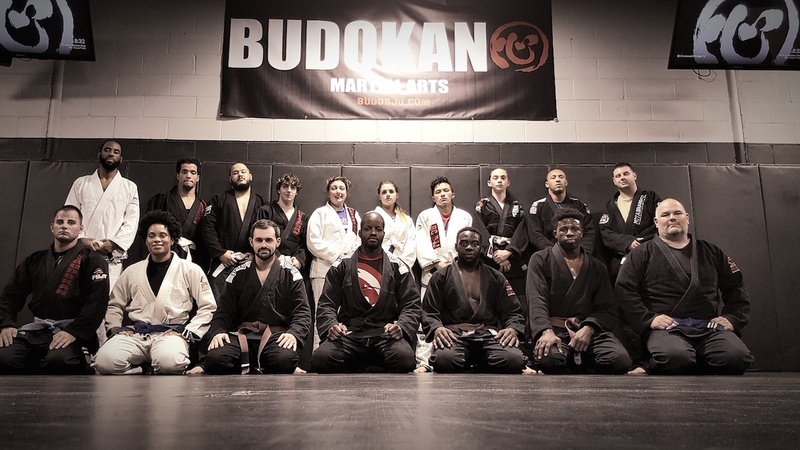 Akbar Muhammad, a Brazilian Jiu Jitsu Black Belt under Sensei Nardu Debrah, has been a student at the Budokan since 2008 where he started in the art of Brazilian Jiu-Jitsu and Sogo Budo. Akbar’s competitive nature led him to compete in his first BJJ tournament and he hasn’t looked back since. Now with numerous medals and championships on the competition scene, he is using those experiences to help new Budokan students. Akbar is an instructor of the beginners BJJ class. He remains an active competitor while training Judo and Iaido and is currently working towards his goals in Brazilian Jiu-Jitsu. He became a fighting machine, always hungry for the next challenge and fighting his way up the brutal amateur Muay Thai circuits, often fighting in Lou Neglia promotions and others. In 2008 Coach Kevin joined the Budokan Academy to further his striking training, learn and explore weapons and embrace a new found love in Brazilian Jiu Jitsu. Coach Kevin is now the World Escrima Kali Arnis Federation Champion in Double Baston and Single Baston. He is a North American Grappling Champion and is having tons of fun exploring MMA and now Judo under Professor Harry St Leger. Coach continues to learn and enjoy training with a "beginners mind" approach which is what he passes on to his students. "Staying hungry...staying humble". Ambition is easy, but are you resolved to stay the course? The Judo Maxim which states "Mutual Benefit and Harmony" (also translated "move forward together with your opponent"), is a statement of “Win-Win" characteristics, which can only engender equality and peace, and points to this Oneness behind the seeming duality of gain and loss. The Dojo, with it’s outward reminders of respect, and it’s inward effects of “mind sharpening" through practice, is an easy place in which to gain insight and do the right thing. Taking this lesson outside the training hall can seem more difficult, but that is our purpose here, and it’s fulfillment cannot be difficult, if it is in fact, the Gentle Way. Tommy Sensei’s first Judo instructor was his father, a Black Belt Judoka from Cuba. More recently, he has trained with John Bassano Sensei (7th Dan), under which Tommy earned his 1st Dan Black Belt in 1998, and Parnel Legros Sensei (5th Dan, and instructor to Harry St. Leger), under which Tommy earned his 2nd Dan Black Belt in 2010. Tommy Sensei often prefers foot techniques, for their ease, speed, and versatility, but he also relies on Ippon Seoinage (shoulder throw), to either side, and a variety of "sacrifice" techniques. He has taught Judo regularly since 1998, to students ranging from kids ages 5 to 15, (in classes packed 30+ full), and to adults of all ages. His tournament successes have been mostly local, limited to State Championship and regional wins, but his training partners have often been World and Olympic Class, including Professor Harry St. Leger. A Purple Belt in Brazilian Ju-Jitsu, Tommy Sensei has recently been humbled by his study of this supreme grappling art, but he is sticking to it, and is honored to teach Judo to the BJJ crowd at Budokan Martial Arts Academy. 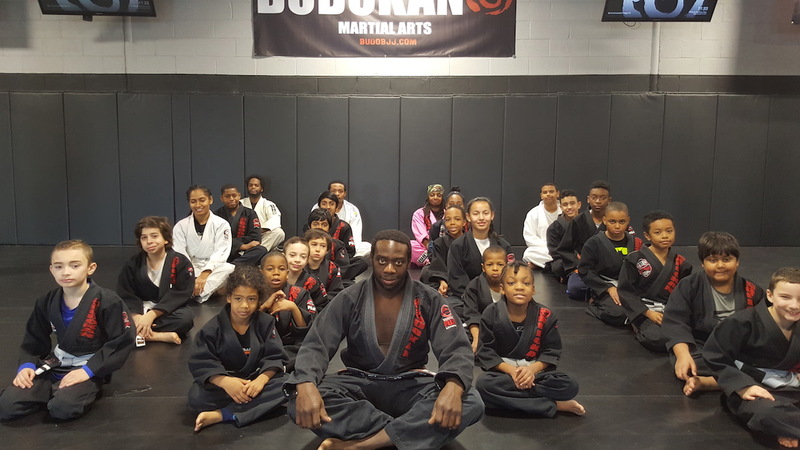 In order to maintain a positive environment that is both conductive to learning and welcoming to potential students, we require our students, parents of students in the kids' classes, and staff to adhere to the following Dojo Etiquette guidelines. Always show respect to your instructors, training partners, and fellow human beings. Respect in training means: do not seek to harm fellow students physically (e.g., by cranking a submission harder than necessary to make them tap) Respect also means that you must train seriously and hard enough for you and your partner to improve his or her skills, conditioning, and fighting spirit. Not giving your best during training detracts from both you and your partner's experience. You must also address the Instructors by their title at ALL times, ex. Sensei, Shihan, Professor, etc. Maintain good hygiene (i.e., shower and brush your teeth regularly). As you can imagine, it is difficult to concentrate on technique when you find your partner's smells distracting! Stand, sit with your legs crossed or kneel during class. No lounging. Studies show that people learn more effectively when seated in upright postures. Do not leave the mat during class without the instructor's permission. Keep cell phones off or set to silent during class. Again, they distract those who are trying to learn. If the instructor has not changed the task, then continue doing the task he or she has given (i.e., don't sit around talking because you feel you have done a technique enough times). You can NEVER do a technique too many times. If the instructor has not asked you to help, teach or assist new personnel then do not! Do not begin conducting personal seminars or expounding upon technique which is being taught. You can ofcoarse help with the obvious. Our instructors are well equipt and prepared to help all students in their training. If a question arises from a fellow training partner please consult the acting instructor or Professor. And recieve exclusive updates & info regarding our Acadamy and the programs which provide an oasis of Martial Arts tradition! Stop by for FREE trial today!